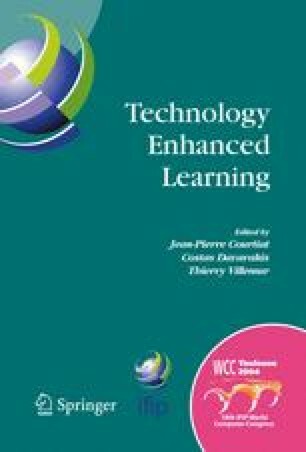 In this paper we present a distance-learning scheme that performs dynamic user evaluation in order to allow training of users adaptable to their needs. The appropriate learner profile is selected on-line, influencing the level and the contents of the offered courses while behavioral evaluation affects the pace of training and the way information is presented to the user. Learner profiles are created and continuously updated through an e-survey tool that is integrated into the system. In its current form the presented system aims at increasing the familiarity with ICT of teachers working in the Special Education sector.